Hello Friends! 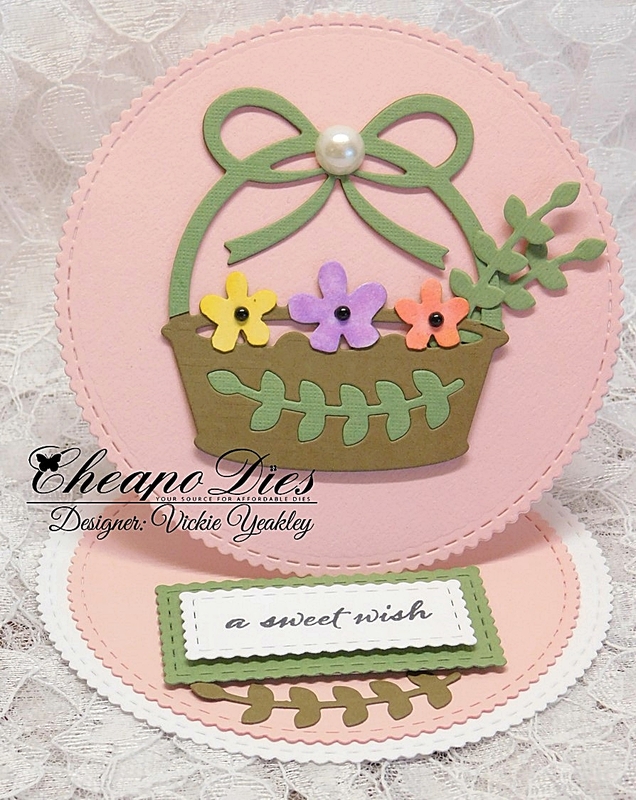 Lori here today with an card that I made using the adorable Oval Flower Tapersty die. For this A2 card I started with white card stock. I took some pale yellow paper, inked the edges and added that to the card. 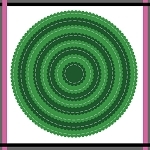 I then took the Oval Flower Tapestry die and cut it out twice, once in lavender and once in pink. I placed the lavender one down first and then I took some of the pink pieces from the pink die cut and inlaid them into the lavender oval. I took a pink pen and colored in the center of the flowers. 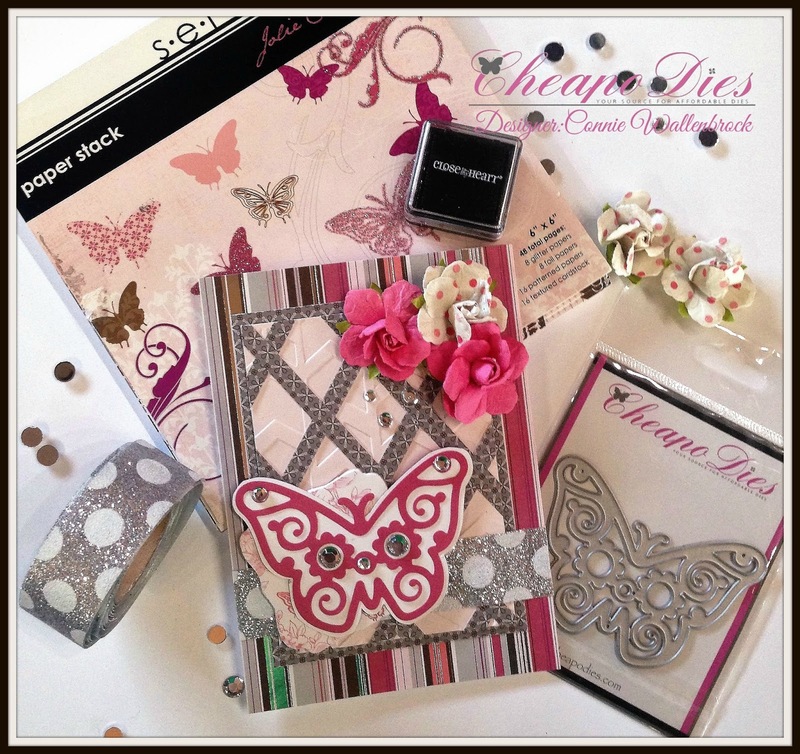 Be sure to stop back for more inspiration on how to use these amazing dies from the Design Team! Anne here with a new card to share with you. 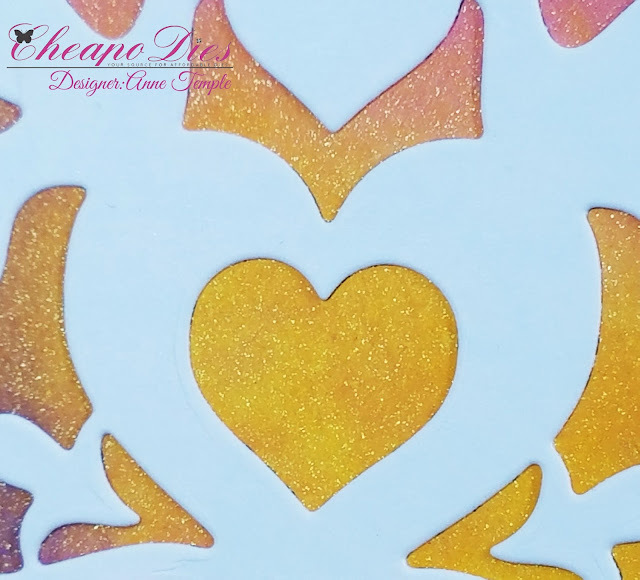 This week, I've used the Dove Tag die from the exclusive line of Cheapo Dies. 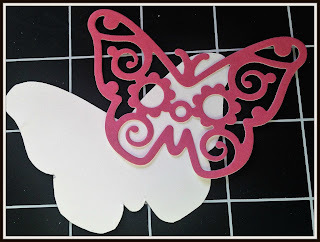 I started out by die cutting from white cardstock and set that piece aside. I saved the negative portion and spritzed it with Nuvo Mica Mist (Antique Gold). The photos have a hard time capturing the shimmer and sparkle of this mica mist, but believe me, it's gorgeous in person. For the card base, I added Distress Oxides (Wilted Violet, Wild Honey, Worn Lipstick) using a blending tool. This was also spritzed with the Nuvo Mica Mist. The photo above captures the glimmer a bit better. After the base was finished, I pop dotted the frame created from the negative piece on top of the color background. The focal die cut, which I left white, was then recessed into the center and adhered directly onto the card base. A couple of stickers that are from my stash add the finishing touch to the card front. For additional details, please visit my personal blog, Anne-Made. Vickie Y sharing a sweet and whimsical pink pig using the Cheapo Dies Pig die. 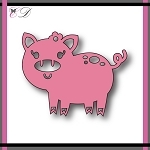 I first die cut the pig using a piece of thin felt then die cut again using a dotted pink cardstock to layer the felt pig onto for stability. I then used the unbranded oval scallop die cut out in green. I cut the die in half to layer onto a the inked background panel to give the card the look of a hilly scene for the sweet pig. I used the vine from last week's spring basket project to embellish along with some paper roses from my stash. On this project I tried my best to create a night scene using star patterned paper and a tranquil dark blue paper for the background. 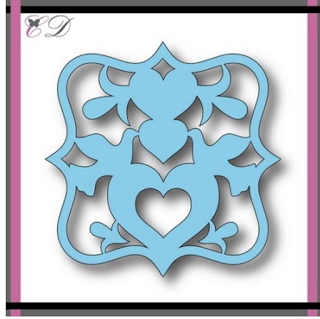 Plain black was used for the die cut to create a subtle difference from the background blues. 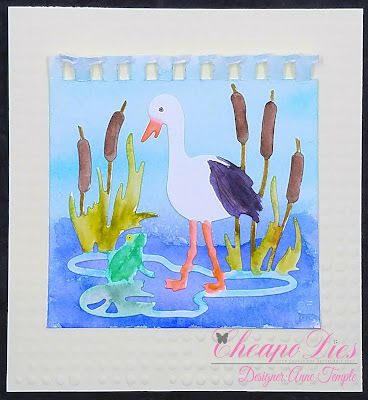 Gloria here, today I want to share with you a watercoloring card using a beautiful Duck die from Cheapo dies. To create this card first, I die a watercolor paper using a duck die and colored them with Kuretake watercolors. 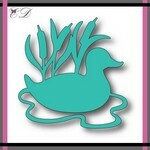 Next, I stacked 3 other die cuts under the duck die cut using glue pen. I mounted it on top-folded using double-sided tape, and then added some shiny small gemstones. 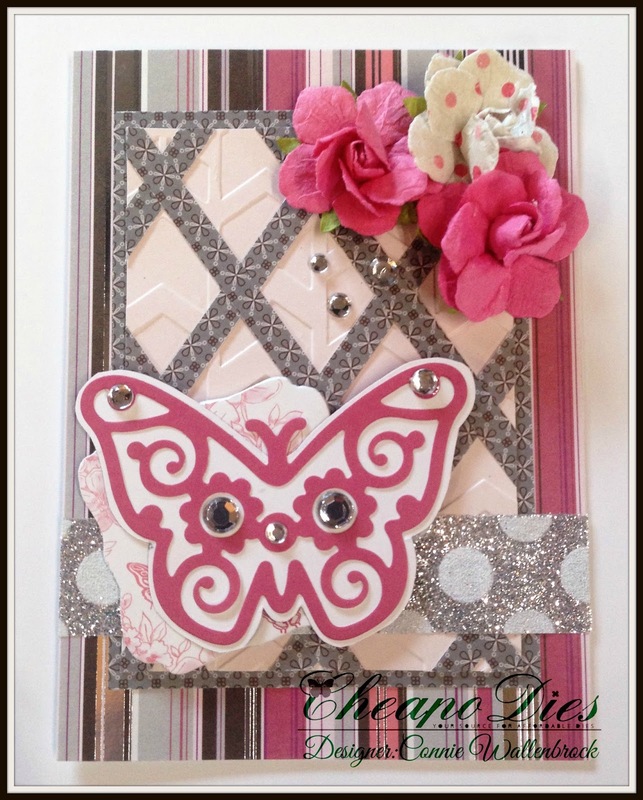 I'm back with another fabulous card featuring the Cheapo Dies Butterfly. I wanted to create a solid background for my butterfly so it would stand out against the busy background. So I decided to trace it carefully, then cut it out on this scrap piece of paper. As you can see it worked out perfectly! I now have my gorgeous die cut and a solid white background. I think this card turned out beautifully! Such an awesome die with tons of details! I took some Ombre paper and the Hello Spring die and ran it through my Big Shot. I love the way the die cut out with this paper. For the base of this A2 card I started with Kraft card stock for the base. 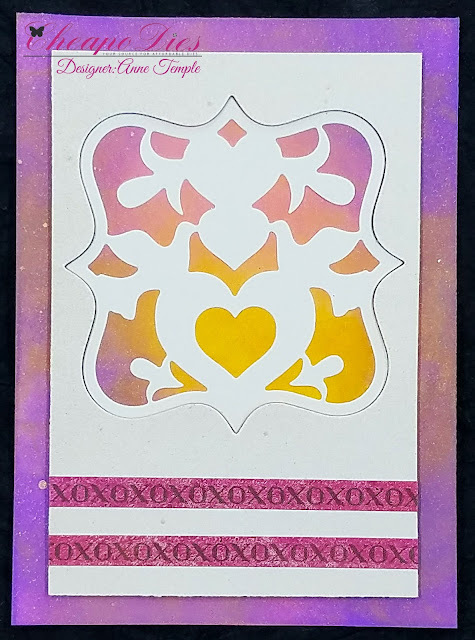 I took a piece of Violet Silence Lemoncraft Paper, inked the edges with Victorian Velvet distress ink and then added that to the base of the card. I then placed the Ombre paper Hello Spring die cut onto the card. I added some jewels to the centers of the flowers to help make it pop. I then fussy cut out one of the butterflies from the Violet Silence Lemoncraft paper and glued it to the top part of the card. 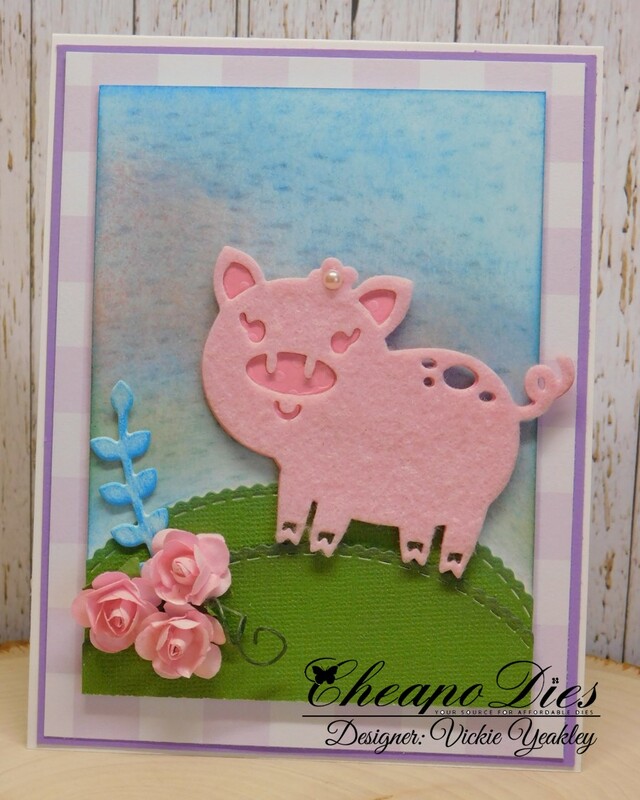 Be sure to stop by the Cheapo Dies Blog often to see what the Design Team have made! Don't forget that all orders placed now and until March 27th will be entered in the Anniversary Week Raffle. You can read all about it on the Cheapo Die Facebook page. 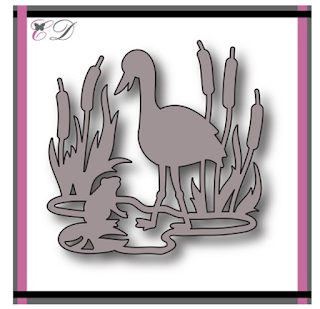 Hey everyone, Anne here today showcasing the Stork die. 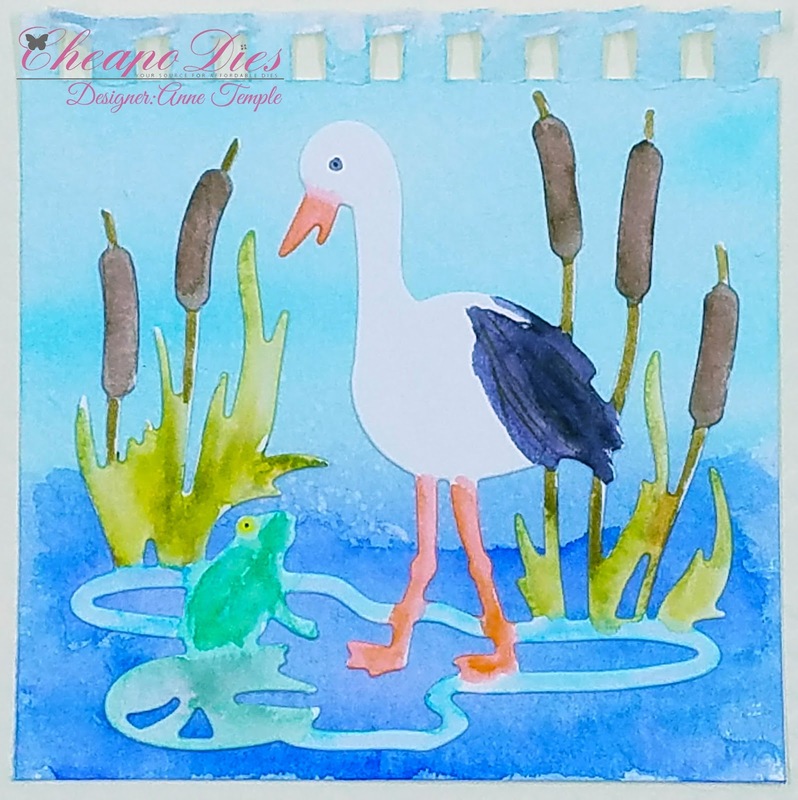 The stork was die cut from watercolor paper and colored with Zig Clean Color Real Brush watercolor markers. After coloring the die cut, I created the background using another sheet of watercolor paper. This was also colored using the Zig watercolor markers. The card base was dry embossed using a Sizzix embossing folder (Dot Matrix). Be sure to come back daily to see what the Designers have created to inspire you. For more details about my project, please visit my blog, Anne-Made. 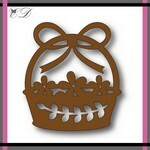 Vickie Y with you today sharing a fun Spring Basket easel card with you. 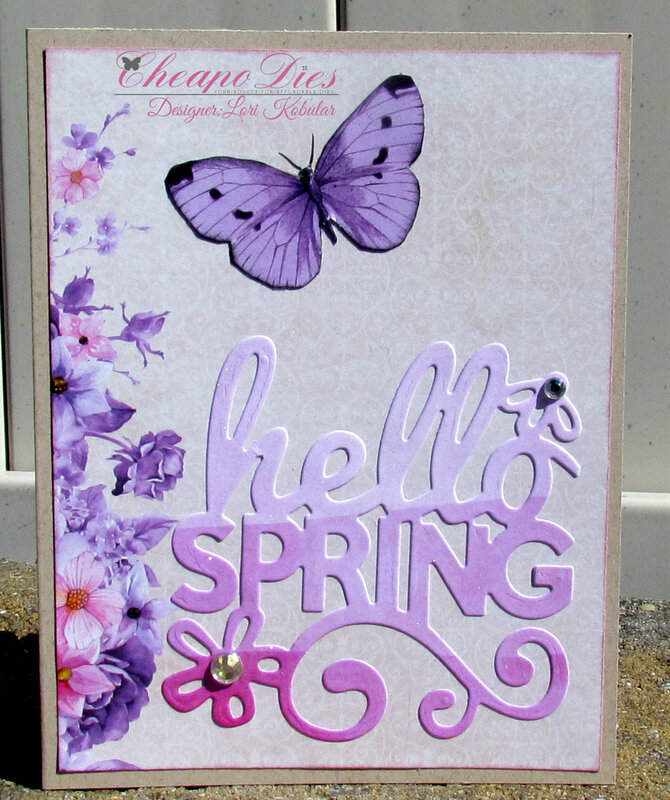 For my card I used the Exclusive Cheapo Die Spring Basket. The vine from the basket is perfect to die cut and use to embellish as basket foliage along with fussy cutting the 3 flowers, coloring, and overlaying on the die cut florals. To rest the easel I used dies from the Unbranded Scallop Rectangle die set and elbellished with the vine cutout from the basket. 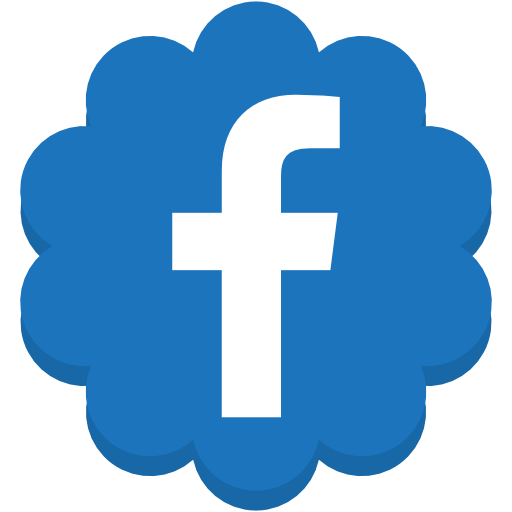 Be sure to visit the Cheapo Cutting Dies Facebook Page! For this project, I used white cardstock for the music die and I glued the pieces on using a permanent adhesive. 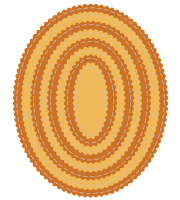 One layer is with pop up dots. I also cut out flowers from the extra paper for a 3D effect. Today is Terrific TuesDIE #5 and have I got a treat for you! First let me show you what I designed. 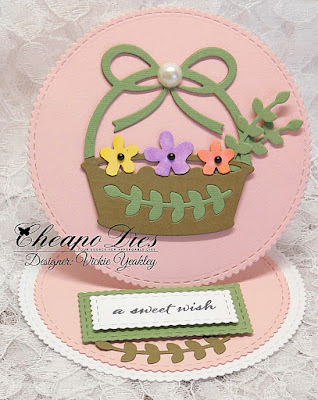 I created this fun circle shaped card using the scalloped stitched circle dies. 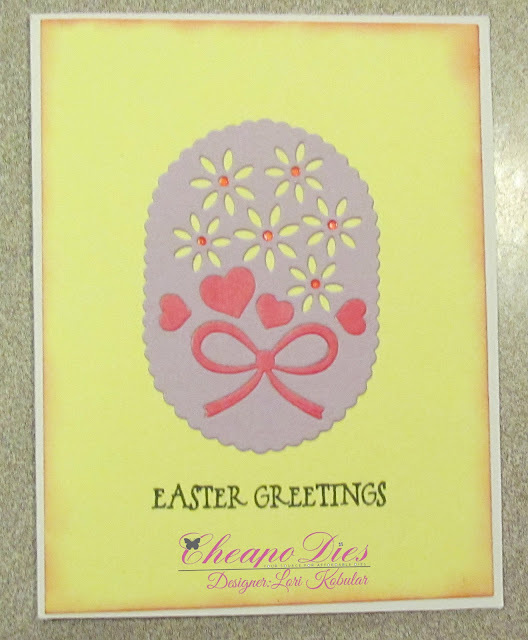 I then featured the exclusive egg die from Cheapo Dies. 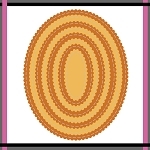 I started by cutting out two of the largest circle stitched scallop dies from plain white cardstock. I then used my score board and scored a line about a half inch from the top of only one of the dies. I used some glue and put some glue on the die with the score line. I only glued above the score line. I lined up the scallops from the dies and then glued them together. 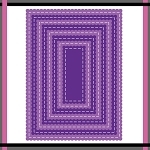 This is what the card base looks like opened up. 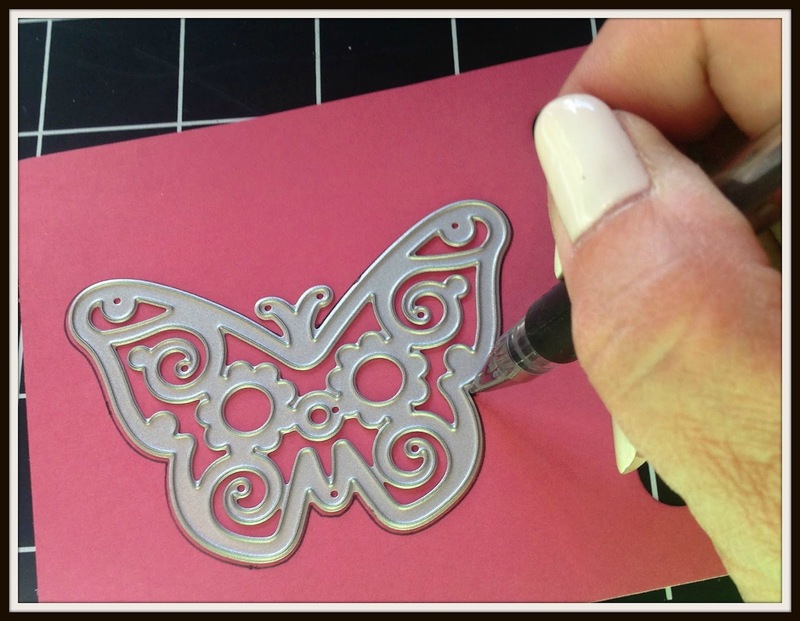 This is the perfect alternative to creating shaped cards with dies. This way allows you to keep the shape of the die without losing a portion of it to create a “fold.” Now on to creating the top. For the egg, I started by cutting out several eggs from white cardstock. I then cut one out in Blue and one in Fuchsia. After I cut them out, I stacked the white ones to give them some depth. I then adhered them to a piece of plain white cardstock. I then pieced the blue and Fuchsia pieces into the the white egg. I used some of my green Spectrum Noir Sparkle pen for the tiny green accents. After I finished all of that, I added one last white one to the top to give it all a clean look. I then used my Spectrum Noir plain sparkle pen to give the top layer some shimmer as well as the blue and Fuchsia cardstock. I finished off the centers of the flowers in the egg with some tiny sequins. For the mats I simply cut out a circle from my green cardstock and then used the next size down scallop circle stitched die to cut out the pretty patterned paper. The paper is from the Doodlebug Bunnyville Paper Pad. Here’s a closer look at the sweet little flower and fence die I used to add a nice border to the bottom of my piece. Here is a closer look at my sentiment. I created it and printed it out and then shaped the little banner. I added a tiny button from my stash to finish it off. Here is one last look at the completed card. 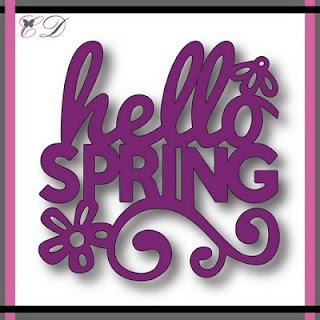 Please feel free to pin this image for some spring time inspiration. 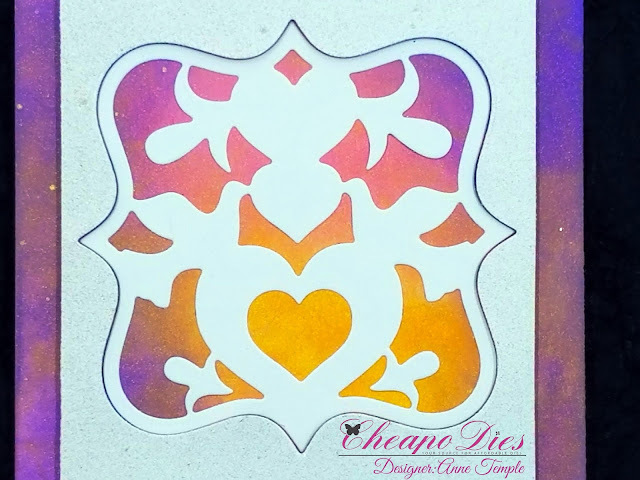 Be sure to head over to Cheapo Dies Shop and pick up these fantastic dies and at so reasonably priced! As always, thank you for stopping by. Until the next time, have a wonderfully crafty day!